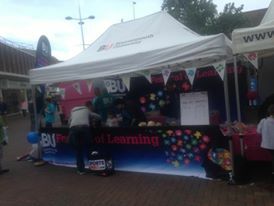 Did you catch the Festival of Learning On-Tour in Falklands Square last weekend? 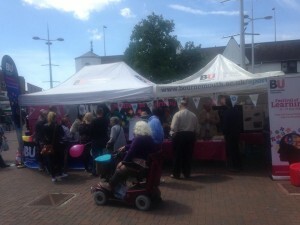 On Saturday (30th May) the Festival of Learning On-Tour arrived in Falklands Square. The weather surprisingly held up and made for a sunny day full of activities for the public to engage with. Some activities were focused on the younger generation, this included digging for, and then painting fossils and also soap making, which gave a hands on experience of making soap and the chance to take home the soap that had been made. There were also activities for all ages to immerse in, hand-grip strength was tested in a competition format,there was a display of skulls to handle and the challenge of guessing the age of each one, and also various archaeological activities, which included maritime artifacts and also an archaeological quiz! This event also saw the first distribution of the Festival of Learning brochure for this years Festival, this included give away items such as; a Festival of Learning branded water bottle, branded fridge magnets and also Festival of Learning balloons. If you would like to be a part of this year’s Festival of Learning, you can take a look and book events through our website here. Dr Angela Gosling & Dr Jan Wiener delivered a highly engaging presentation on Wednesday 13th May which focused on their novel research. Dr Jan Wiener opened proceedings by discussing how we are flexible in switching between navigational strategies, in comparison to being reliant on the sun for navigating on a day to day basis as many animals are. The audience then engaged with a 360 degree view of Bournemouth Town centre and asked simple navigational questions such as ‘where is the pier?’ as well as others. Dr Jan described about how navigation is incredibly complex and explained the reasons why and when navigation fails, leading on to how navigation can be supported. Research into Dementia friendly guidelines by PhD Mary O’malley was met with a debate of opinions between various audience members, as they offered various insights into the topic of navigation. Join us to celebrate the breadth and excellence of Bournemouth University’s research as part of Interdisciplinary Research Week this May. This is an opportunity to spark new collaborations and ideas among our diverse research community. This year we have a week long programme of lectures, demonstrations, discussions and a film, which will showcase the fantastic research which is being undertaken at the university. This is the ninth in a series of blog posts which will highlight the events you can join throughout the week. The ninth event of the programme will take place on Friday 15th May, Dr Shamal Faily will discuss if Software is invisible, and so pervasive that we place our trust in software without caring too much about how warranted that trust is. 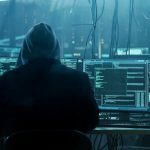 Unfortunately, designing secure software is hard, and the media is filled with stories about what happens when software fails to meet our [albeit implicit] security and privacy expectations. In this talk, I will describe how adopting disciplinary perspectives beyond computer science can help build software that is both secure and useful. This event will take place on Talbot Campus in KG03 from 12.30pm-1.30pm, with lunch available from 12.00pm. You can book your place by clicking here . This is the seventh in a series of blog posts which will highlight the events you can join throughout the week. 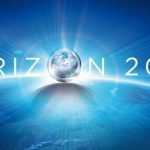 The seventh event of the programme will take place on Thursday 14th May, Digital transformations in communications have led to the increasing popularity of data visualisations and the use of maps and other multimedia interactives for representing complex data. Often, these visual data stories can better communicate the significance of research findings to policy-makers and the public. Beyond engendering greater comprehension, this turn to the visual can also tap into our emotions and cultural values. In this Masterclass, we will introduce the audience to the emerging interdisciplinary field of data storytelling research. 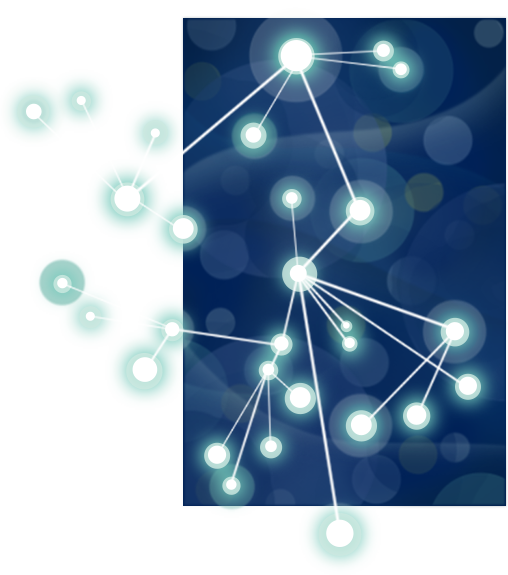 Drawing on a range of contemporary examples, we will present a variety of techniques and technologies for creating data stories. This event will take place on Talbot Campus in KG01 from 11.00pm 2.00pm, with lunch available from 12.30pm. You can book your place by clicking here. This is the fifth in a series of blog posts which will highlight the events you can join throughout the week. 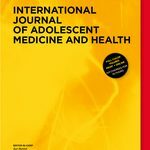 The fifth event of the programme will take place on Wednesday 13th May,Dr Ann Hemingway will be discussing how a continuing challenge is to understand how the intricate range of drivers affect the food intake of teenagers and older people the two groups in society who have the lowest vegetable intake across the lifespan. Research led by BU and being undertaken across Europe is trying to tackle this challenge, the learning from this cross disciplinary work and the intended and actual outcomes of the research so far will be discussed. This event will take place on Talbot Campus in Barnes Lecture Theatre from 2.00pm -3.30pm, with refreshments available from 3.30pm. You can book your place by clicking here. Locating clandestine mass-graves resulting from genocide is time consuming and problematic. For instance, some 3000 victims of the genocide in Bosnia (1992-95) are still missing. Locating graves is imperative for repatriating remains to families and for gathering evidence for war crimes tribunals. Forensic Scientists conventionally use a combination of local knowledge and opportune satellite snapshots in their search. We present a new, novel technique based on a time- series of satellite images long after burial took place, which is normally used by geographers to monitor the impact of climate change on vegetation around the world. This event will take place on Talbot Campus in KG01 from 18:00pm to 19:00pm, with a Wine reception from 5:30pm. You can book your place by clicking here. This is the first in a series of blog posts which will highlight the events you can join throughout the week. The first event of the programme will take place on Monday 11th May, Professor Anthea Innes will be discussing ‘Dementia: improving the lives of people affected by dementia in Dorset’. This two-hour interactive session will showcase a range of initiatives that members of the Bournemouth University Dementia Institute (BUDI) are working on in collaboration with our community partners. This includes working with a local school where pupils and people with dementia have been learning to use gaming technology like the Wii and Xbox to play together, and the BUDI orchestra, collaboration with professional Bournemouth Symphony Orchestra musicians. This event will take place on Talbot Campus in the Marconi Lecture Theatre from 6:00pm-8:00pm, with a wine reception from 5:30pm. You can book your place by clicking here. Are you interested in joining the public engagement team in Poole town centre on 30th May? With the Festival of Learning two months away, our On-Tour programmes are well underway. In May of this year we have an opportunity for you to get involved in running a public engagement activity for the general public. What are the benefits from being involved in the Festival of Learning on tour? Running an activity as part of the on-tour programme will enable anyone who’s new to public engagement to gain confidence in communicating research to the public, as well as providing a fresh perspective on research from audience members with differing levels of knowledge and understanding. Most of all … it will be great fun! What kind of activity could I run? In the past we have had very successful activities which have engaged the public and created a great atmosphere when taking the Festival of Learning On-Tour. The first example is an activity run by Marine Archaeology, who brought artefacts and wrecks from their dives; this included full size cannon (which was very popular with the younger generation). A second example is painting fossils as an activity; this had a great appeal to families as the activity provided a hands-on experience. We also encourage Post Graduate students to run activities around their research, an example of this was an activity which looked into our DNA and provided a quiz to test what participants had learnt. If you are interested in running an activity, please email Harry Gibson, who will be able to provide you with more information on what will be required for the day and help you develop your activity. 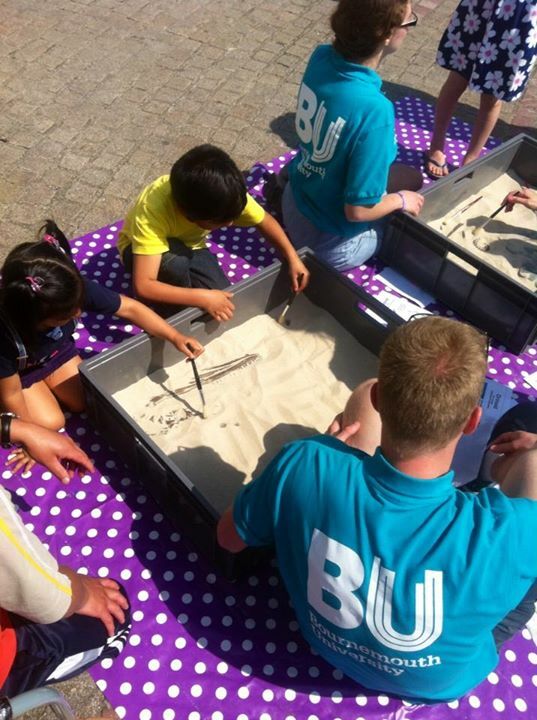 Call for public engagement activities – the Festival of Learning On-Tour 2015. 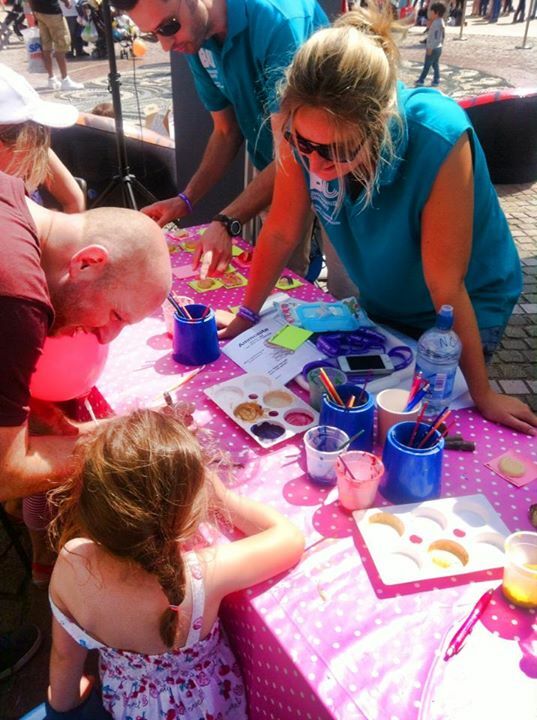 Are you interested in joining the public engagement team in Poole town centre on 30th May or alternatively Bournemouth town centre on 13th July? With the Festival of Learning less than three months away, our On-Tour programme is well underway. In May and June of this year we have opportunities for you to get involved in running a p ublic engagement activity for the general public. Running an activity as part of the on-tour programme will enable anyone who’s new to public engagement to gain confidence in communicating your research to the public, as well as providing a fresh perspective on your research from audience members with differing levels of knowledge and understanding. Most of all though… it will be great fun! What kind of activity could I run ? In the past we have had very successful activities which have engaged the public and created a great atmosphere when taking the Festival of Learning On-Tour. The first example is an activity run by Marine Archaeology, who brought artefacts and wrecks fr om their dives; this included a full size cannon (which was very popular with the younger generation). A second example is painting fossils as an activity, this had a great appeal to families as the activity provided a hands-on experience which can represented in the picture to the right. We also encourage Post Graduate students to run activities around their research, an example of this was an activity which looked into our DNA and provided a quiz to test what participants had learnt. If you are interested in running an activity, please email Harry Gibson, who will be able to provide you with more information on what will be required for the days and help you develop your activity. 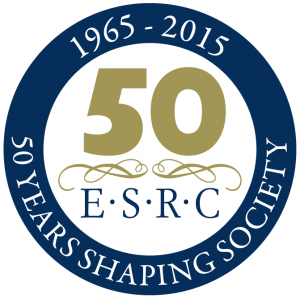 The ESRC Festival of Social Science, what could you do? If you’re struggling for inspiration for what type of event you can submit for this year, below you can find the second in a series of blog posts which will highlight popular events from previous years of the Festival. ‘The Big Bubble? 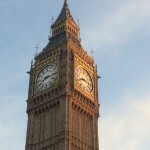 Examining London’s Property Bonanza’ was an event which took place during the 2014 Festival in London. This was a panel discussion which aimed to inform the general public about the factors driving London’s property market to new peaks, and of the ways that policy and politics might address the negative impacts of this trend. Panel discussions are often a very popular event type in attracting the general public. 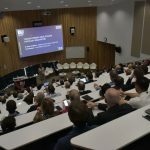 As well as the success that ‘The Big Bubble’ had at the ESRC Festival in 2014, the British Science Festival in 2015 also presented panel sessions which proved to generate a high number of attendees at events. Are you inspired to run an event similar to ‘The Big Bubble’ at this year’s ESRC Festival? Apply to take part in two fantastic outreach events ‘I’m a Scientist’ and I’m an Engineer’ and you can be in with a chance of winning £500! If you’re a scientist or an engineer keen to been involved in outreach events, this may be the perfect opportunity for you. Between June 15th and the 26th you can be a part of answering students’ questions and engage directly with them in live text-based chats. After these chats have taken place, students will vote for their favourite researcher to win £500, which can be spent on future public engagement. 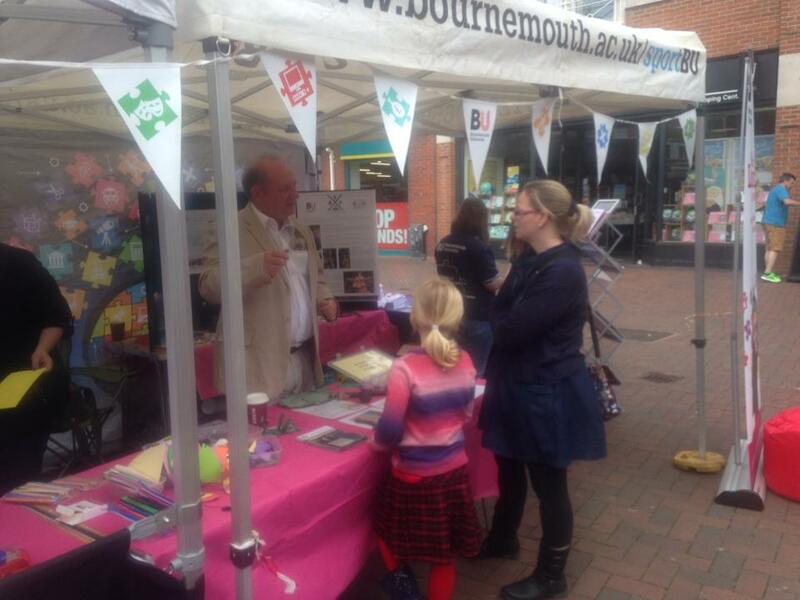 Public engagement and outreach events are great to be involved in, you can learn vital skills from interacting with the public and gain confidence in your own research. They provide a fantastic chance to gain a fresh perspective on your research from the younger generation, which may raise interesting questions and debates. Furthermore, being involved will be a rewarding experience as you inspire the next generation of scientists and engineers. Once you are ready to start your application, you can apply for either the ‘I’m a Scientist’ event and the ‘I’m an Engineer’ event . The deadline for applications is Sunday 3rd May. 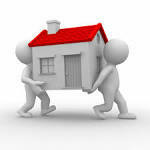 For further questions you can also contact Angela Monasor via email or alternatively call 01225326892. 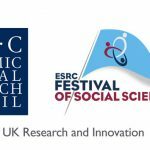 The call for proposals are now open for this years ESRC Festival of Social Science, which will run between the 7th and 14th November. Funding of up to £1500 is available for the Festival , and with Bournemouth University becoming an official partner of the Festival, now is the time to start thinking about submitting a proposal if you wish to be involved in 2015. If you’re struggling for inspiration for what event you can submit for this year, below you can find the first in a series of blog posts which will highlight popular events from previous years of the Festival. ‘How to get to 100- and Enjoy it’ was an event which took place in London during the ESRC Festival of 2014. The event look into the chances of living to 100 and how our early years of life, our family life, where we live, our lifestyle and work effect these chances. With one in three children born in 2012 expected to live to 100, these questions have become important to our generation and generations going forward. 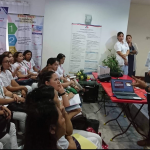 The event itself made the most of having iPads which audience members could use to navigate through the latest research findings through interactive games, quizzes, pictures and interviews. Once you have decided on a proposal idea and are ready to submit an event, the next step will be to complete the application form, which can be found here. If you have any further queries or would like help with ideas for your event, you can email fol@bournemouth.ac.uk and we’ll be happy to help.Alternatively, if you would like to gain more inspiration from past events from looking at previous years events, please click here. 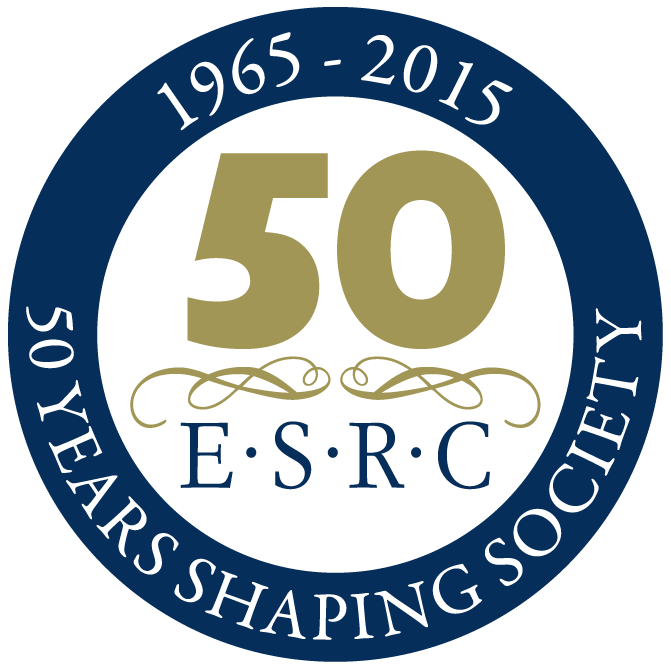 Owing to the success which BU has had as part of the ESRC Festival of Social Science over the past three years, this year, the ESRC have invited us to become an official Festival partner. 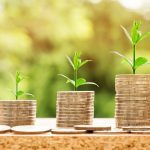 This means that you will not have to apply through the competitive external process, but instead we will be allocating funding through an internal competition. To submit a proposal to be part Festival, you will need to complete this online form by 4pm 8th May. The form can be found here and any queries should be directed to fol@bournemouth.ac.uk. Funding is available for direct event costs (e.g. 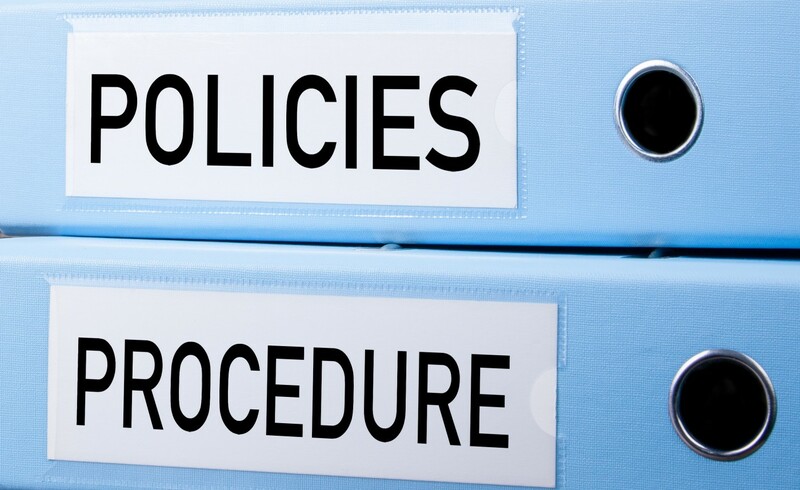 to hire an external venue, or pay for event materials) and the allocation for this will be reviewed by an internal panel. The maximum application is £1,500, but we expect awards to be in the region of £500. Please note that the Festival takes place between 7th-14th November 2015. Further information about the Festival, including examples of previous events can be found here. For those of you who have an interest in Medical Research, there has been a very exciting development made in the field by Apple. ResearchKit is Apple’s opt-in program for users to share their HealthKit data with medical researchers hoping to tackle a wide array of diseases. ResearchKit will be an open source effort that pulls data from multiple sources including the Apple Watch and iPhone. It officially launches next month, but the first five applications are available today for interested users. Apple’s launch partners for ResearchKit represent some of the premier medical institutions today, places like Penn Medicine, Stanford Medicine, and the Michael J. Fox Foundation. For an example of one of the partnerships manifesting in the first five apps, Williams explained mPower. This allows anyone with an iPhone to contribute to Parkinson’s research by turning their device into a diagnostic tool. mPower includes a tapping test to evaluate hand tremors, a microphone “ahh” test to assess vocal chord variations, and a walk-test where the iPhone precisely measures a user’s gait. Other initial apps address medical initiatives such as breast cancer, asthma, and diabetes. ResearchKit could offer scientists a sample size that was previously a rare occurrence. Apple CEO Tim Cook believes ResearchKit will change medical research in a way which is truly profound. 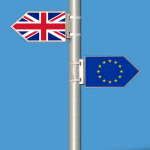 With a general election in May and a government spending review to follow, this is a critical time for social science to shout loudly about its value to the UK economy and society. 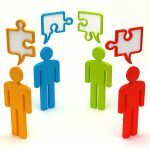 On 17th April at Cardiff University the Campaign for Social Science will present the recommendations of its new report The Business of People: The Significance of Social Science over the Next Decade (launched 24th February in Westminster by Minister for Universities, Science and Cities, Greg Clark MP). We hope for a fruitful dialogue with social scientists at Cardiff on the current state and future direction of social science in the UK. Event runs from 12.15 to 3pm. Those interested in any aspect of the social sciences – from sociology to economics – are encouraged to attend the event. The call for proposals closes at 4.00pm on Thursday 30th April. Applicants should also consult the STFC Public Engagement Strategy in advance of submitting your proposal and are also encouraged (if applicable) to consider working with under-represented audiences such as girls and young women in engineering and physics, groups in areas geographically remote from STEM activity and underperforming schools. All applications must be submitted through the RCUK Joint electronic submission (Je-S) (link opens in a new window) system. E-mailed or hard copy applications will not be accepted. Please be aware that it may take up to four weeks for organisations to register for the first time on the Je-S system.